The Special Citation awarded to Wallace Teare honors him both for what he did and for what he encouraged others to do. During his lifetime, Teare held more positions that affected public affairs than most political figures could hope to possess in three careers. But his motivation was not partisan interest or legislative power. Even while running his own architecture practice, he never lost sight of what he deemed to be his civic duty: to ensure that his neighbors lived in well-planned, well-functioning, attractive communities and to try to provide adequate housing for everyone, regardless of income level or age. These were the gospels he preached for more than half a century, beginning in 1931 as a young instructor at his alma mater, Western Reserve University, and continuing throughout his working life. 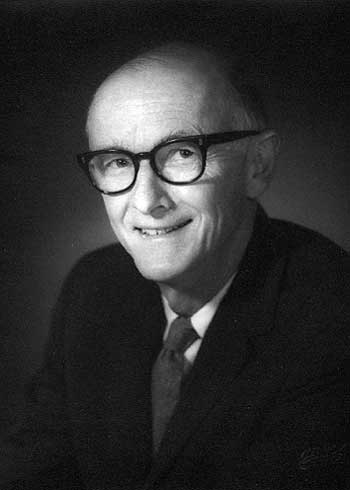 At various times between 1932 and 1989 he served as a planner for the U.S. Housing Authority in Washington, D.C., chief of planning and research for the Cleveland Metropolitan Housing Authority, a housing consultant to the governor of the Panama Canal, a member of the Lakewood (Ohio) City Planning Commission and a member of the executive committee of the Regional Planning Commission of Cuyahoga County, as well as architectural consultant, vice chairman and ultimately chairman of the Cleveland City Planning Commission. At the same time he and his practice partners managed to work on projects that broke new ground, either as pure architecture or as statements of social principles. Often, as with the award-winning O’Neil Sheffield Shopping Center in Sheffield Township (1955), Teare’s work would be among the first of its kind in the region. In 1960, he helped to create the Westerly in Lakewood, the first federally subsidized housing for the elderly in Ohio. And in 1966 he produced the Chesterfield, Cleveland’s first downtown luxury apartment building. The Lakeview Terrace apartments remained the project of which he was most proud. Designed in 1937 by Teare and his colleagues, Lakeview was one of the nation’s first publicly funded housing estates intended specifically for low-income tenants. Constructed with financial support from the Public Works Administration during the depths of the Depression, the sprawling low-rise brick apartment complex with its International Style influences and Art Deco accents became an icon on Cleveland’s near West Side. It not only provided affordable housing for generations of residents, but it also instilled a sense of ownership and pride in its occupants. Lakeview Terrace served as a model for similar projects in other parts of the country, as did Teare's nearby Riverview Plaza (1971) and Lakeview Tower (1973), the latter a 19-story structure designed specifically for elderly residents on limited incomes. Teare often made the time to serve as a juror for university student architectural competitions. He delivered frequent presentations to younger students at high school career days. His message never changed: Good architecture was an uplifting and necessary component of life, and all persons were entitled to housing that afforded their lives both comfort and dignity. It seems entirely fitting that Cleveland State University should present its annual Wallace G. Teare Prize to a graduating undergraduate or graduate student who best exemplifies the professional ideals of this remarkable man.